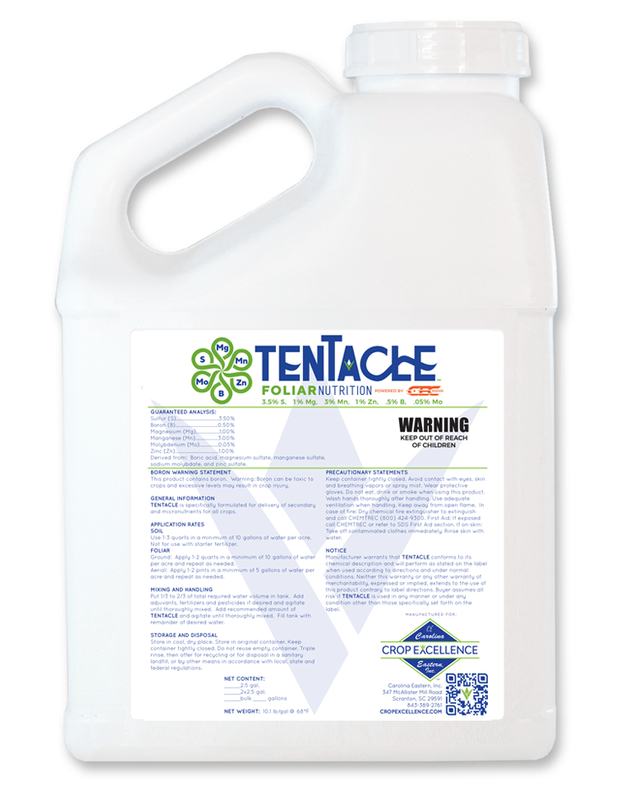 TENTACLE is specifically formulated for delivery of secondary and micronutrients for all crops. 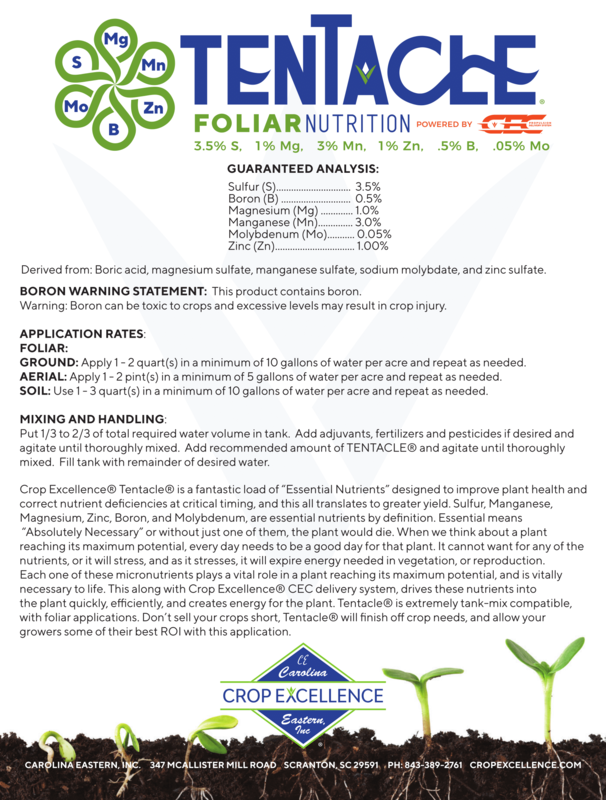 Derived from: Boric acid, magnesium sulfate, manganese sulfate, sodium molybdate and zinc sulfate. Soil: Use 1 – 3 quarts in a minimum of 10 gallons of water per acre. 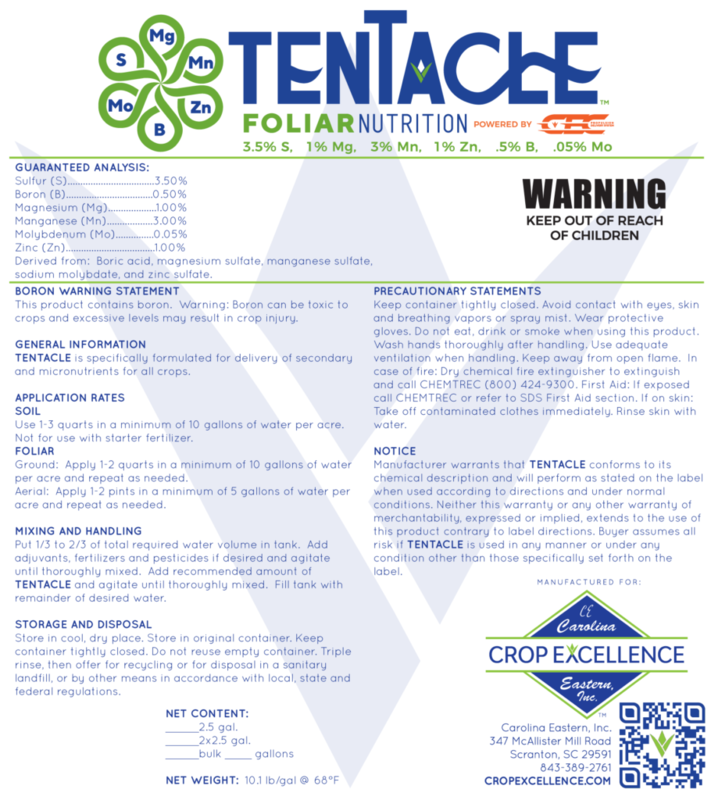 Not for use with starter fertilizer. 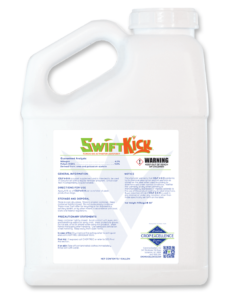 Ground: Apply 1 – 2 quarts in a minimum of 10 gallons of water per acre and repeat as needed. 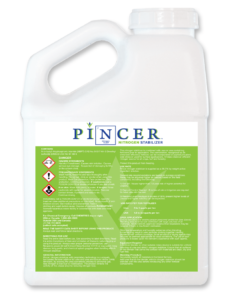 Aerial: Apply 1 – 2 pints in a minimum of 5 gallons of water per acre and repeat as needed. Put 1/3 to 2/3 of total required water volume in tank. 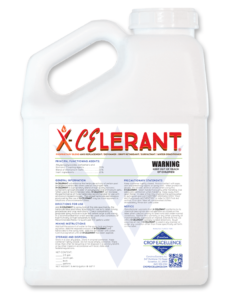 Add adjuvants, fertilizers and pesticides if desired and agitate until thoroughly mixed. Add recommended amount of TENTACLE and agitate until thoroughly mixed. Add recommended amount of TENTACLE and agitate until thoroughly mixed. Fill tank with remainder of desired water.